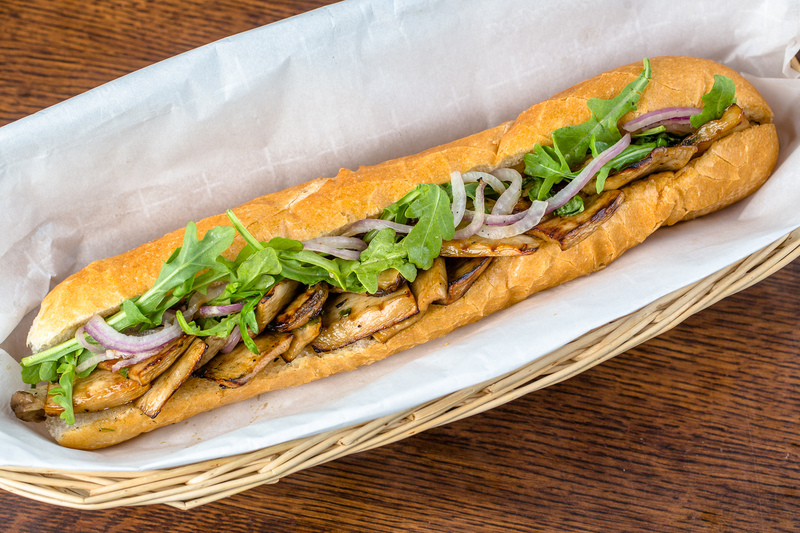 Deliciously grilled king mushrooms on a fresh 9 inch french baguette. Topped with fresh cucumbers, cilantro, grilled onions, arugula and house made vegan aioli. Optional Jalapenos or sriracha sauce, request in notes upon checkout.